Some elements in the Quarry District have been around a long time. Some are evolving. Still others are waiting to be created and discovered. 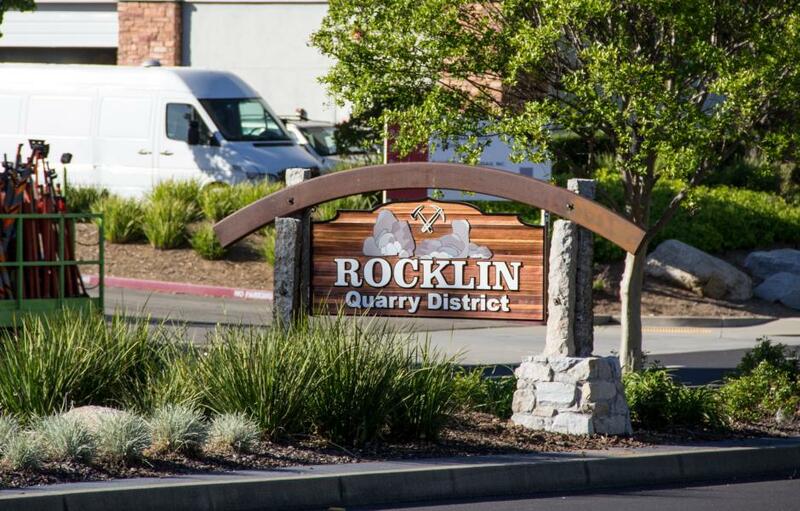 The Quarry District, like Rocklin’s history, is made up of many stories and experiences. So, which element will you explore today? Status: Phase 1 completed. Future phases projected to be completed in 3-5 years, depending on funding availability. What is it? 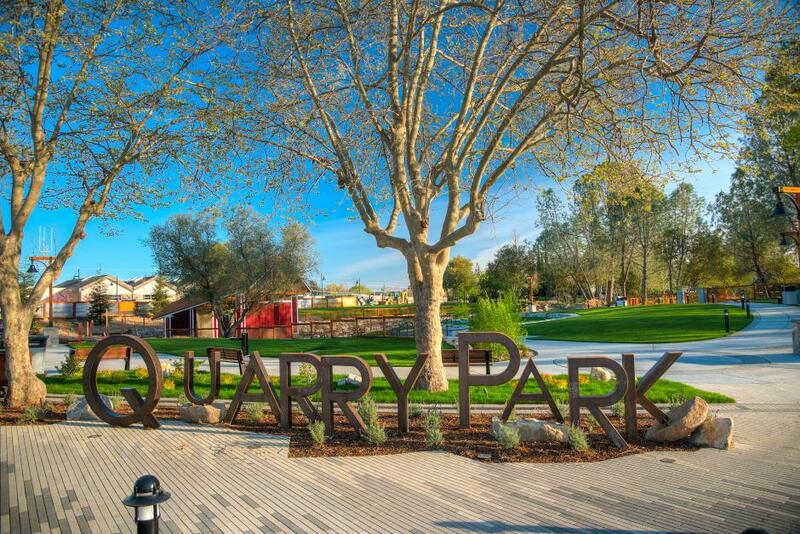 Quarry Park is a central gathering place and picturesque setting for community events, concerts, quiet walks through nature, and active play. Quarry Park is home to an amphitheater, trails, open space, and wildlife. Status: Open and ready to serve you. What is it? 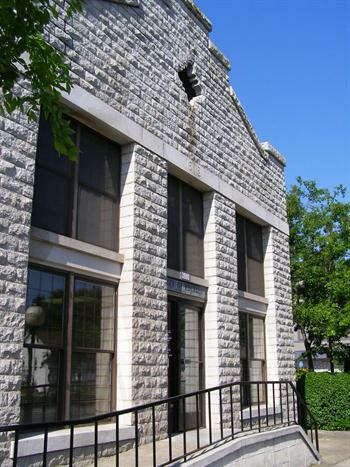 Surrounding Quarry Park is City Hall, Historic City Hall, the Administration office, the Police Department, and Fire Station #23. These are the folks who are proud to serve you and will keep Rocklin running smoothly and safely. What is it? 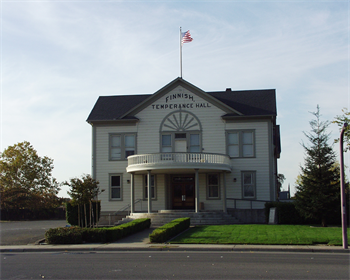 Finnish Temperance Hall (Finn Hall) is home to the year-round Rocklin Community Theater. For more Info go to http://www.rocklintheatre.org. Note: The City of Rocklin does not accept reservations at this venue. 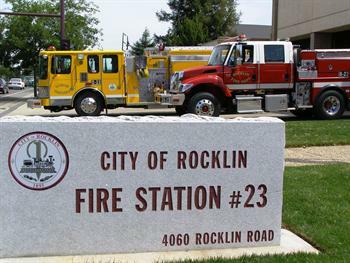 Status: Fire Station #23 is located at 4060 Rocklin Road. What is it? Fire Station #23 has long served the Rocklin community. Plans are in the works to build a new state-of-the-art building for Fire Station #23 elsewhere in the Quarry District. The existing station will be converted to a marketplace and gallery for arts and artisans, crafts, and specialty foods and services. Status: There are several elements already in place on Front Street, others in progress and more to come in the next year. What is it? Front Street, located off of Rocklin Rd. and Pacific was Rocklin’s original street for commerce and civic life. Status: Working with adjacent homeowners to develop a final plan. Construction will take place in the next 1-2 years. What is it? The B Street Corridor is a road that will turn into a public walking corridor, providing a safe and protected connection between Front Street and Johnson-Springview Park. Status: Johnson-Springview Park has been Rocklin’s premier regional park since the 1900’s. What is it? 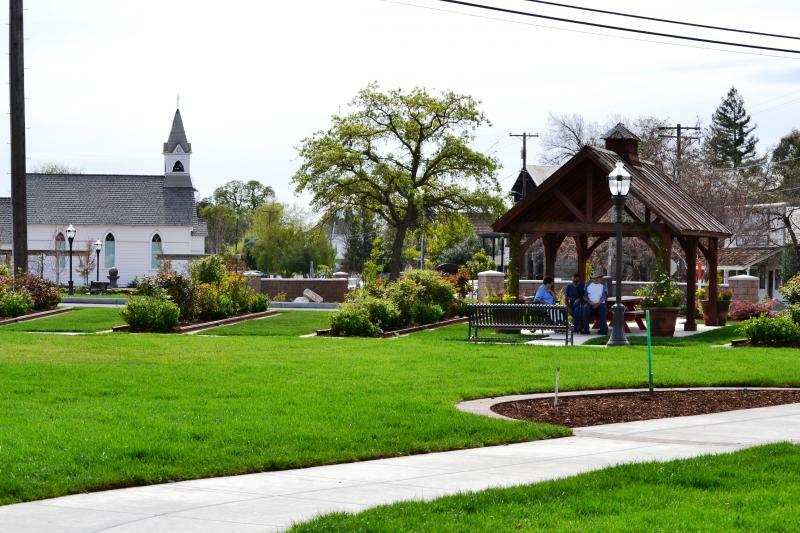 Johnson-Springview Park is home to many of the City’s great events such as Woofstock, Friday Evenings in the Park, Patriot Day, and so much more! The Recreation, Arts, and Event Tourism department, RUFF Dog Park, disc golf course, skate park rink, tennis courts, volleyball sand pit, and so much more are located at this park. The 132-acre park marks the northern edge of the Quarry District. 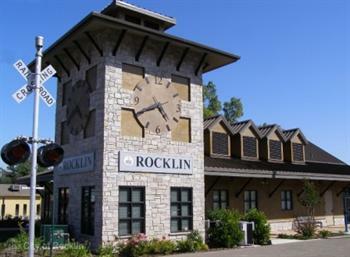 Status: The Rocklin Train Depot is located off Rocklin Road and Railroad Ave.
What is it? The Rocklin Train Depot, located in the same spot as the City’s original train depot offers Amtrak service. It is also home to the Rocklin Chamber of Commerce.